I received a phone call last friday from someone who purchased our products at Art on the Hill festival in Mantua last summer. These phone calls are such fun. They come without expecting them, and often open new doors. Mary, the shop owner explained she opened a small resale shop in Mantua right in the downtown. Her shop, featuring mostly well loved antique furniture, glass and china, is an eclectic mix of vintage and fun finds. 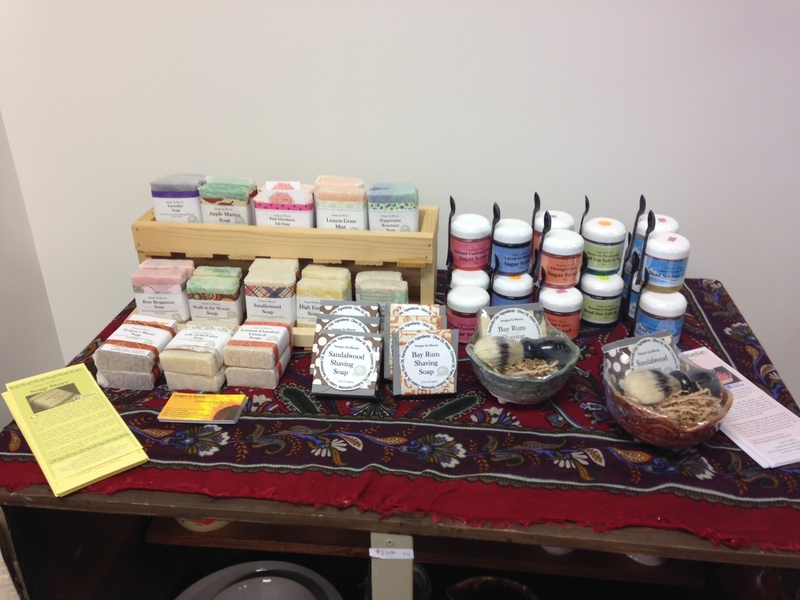 We set up a small display of our soap, scrubs and shave soap for sale there. 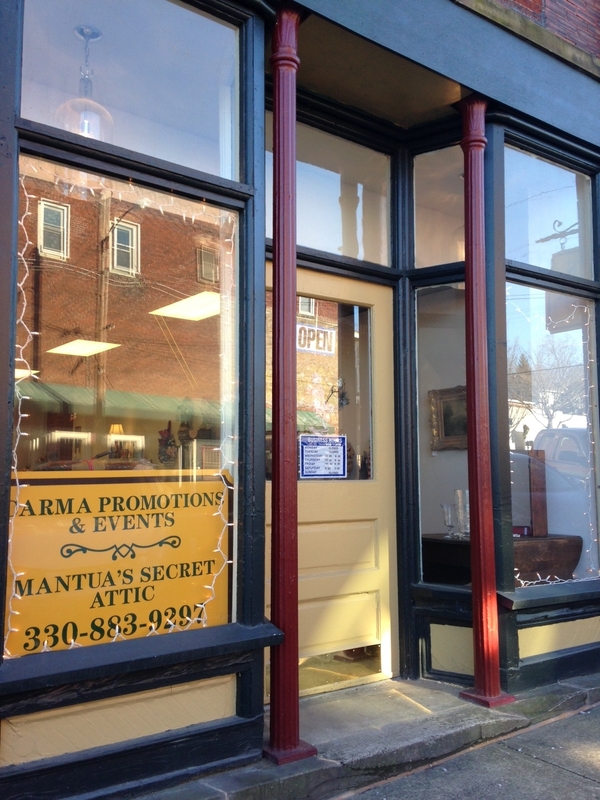 Mantua’s Secret Attic is located in a vintage brick building at the corner of Prospect Street and Main Avenue in downtown Mantua. If you are out in the Portage county area, and are looking for vintage finds at reasonable prices, stop by and visit. Tell Mary we sent you.